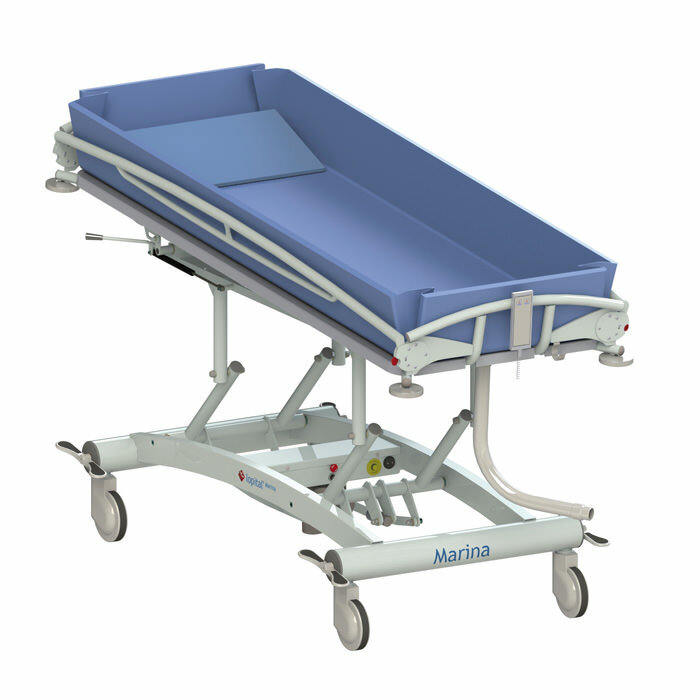 Lopital Marina is a light weight hydraulic shower trolley made of aluminum which makes it easy to maneuver making transfers easier. 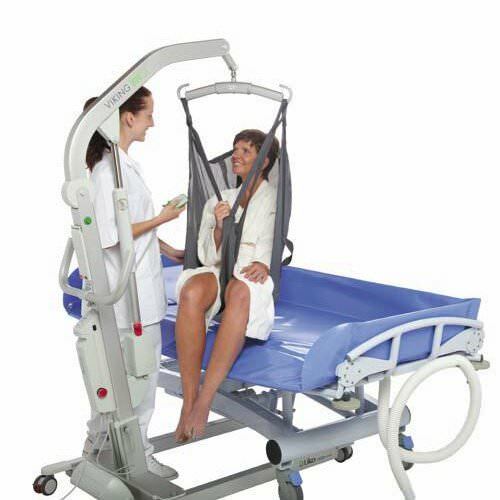 Marina hydraulic shower trolley is height adjustable, ensuring caregiver convenience, and resident/client comfort. 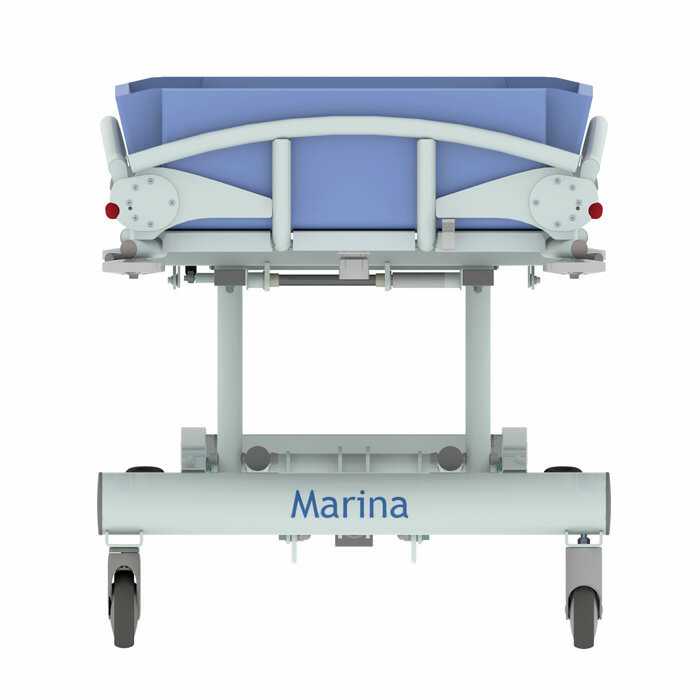 Marina shower trolley comes with side rails that are simple and safe to control and lock. Top surface net area Approx. 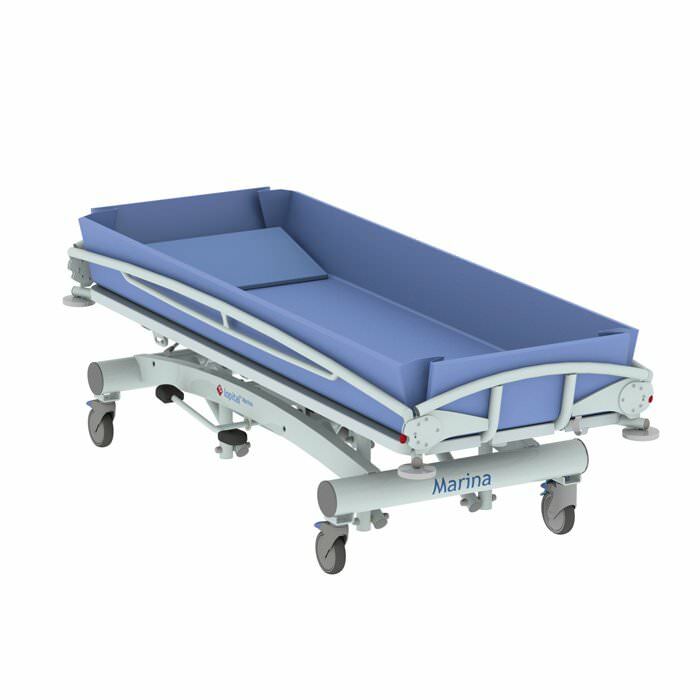 74.8" x 25.5"
Mattress edge height Approx. 7.8"
Lying surface height Minimum: approx. 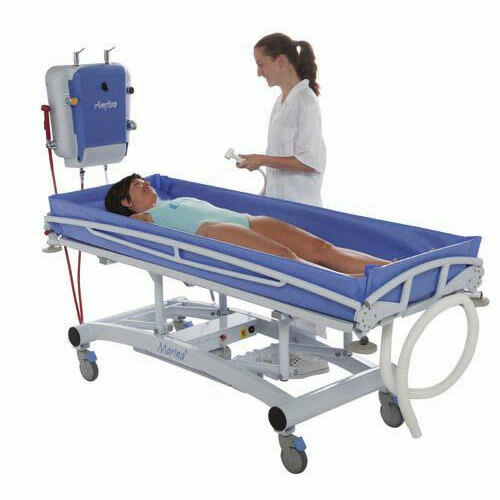 17.7"
Water discharge hose Internal Ø 1.5"